What better way to enjoy the festivities this month than with a White Chocolate Peppermint Mocha? In a heat-proof pitcher combine milk, White Chocolate Syrup, and Peppermint Syrup. Stir well to dissolve syrups. Add coffee and stir to combine. Pour into two 8 oz mugs. 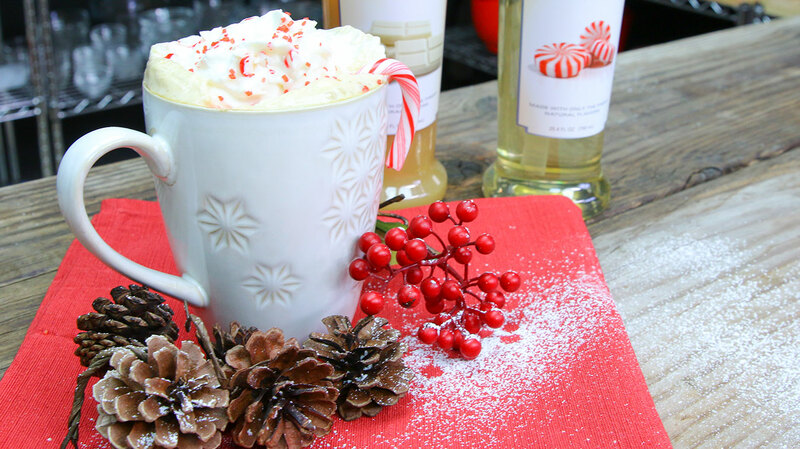 For an extra fun drink, garnish with whipped cream and crushed candy canes!